High frequency chest wall oscillation (HFCWO) is progressively becoming the therapy of choice for treating compromised airway clearance. HFCWO eliminates concerns associated with manual Chest Physical Therapy (CPT). The SmartVest is designed to help staff speed resident recovery in a cost effective manner by using HFCWO, a proven clinical therapy that helps to clear the lungs of excess mucus, reducing the risk of respiratory infections and hospital readmissions. The only single-hose design among leading HFCWO devices, eliminating ergonomic challenges that residents and staff can experience with tangled hoses. 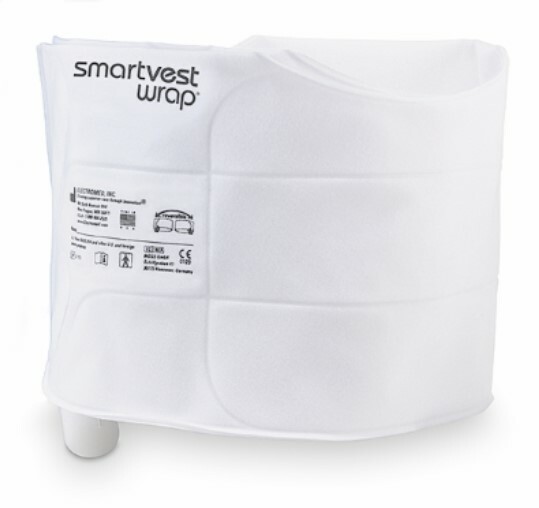 Bottom-up compression makes the SmartVest system ideal for residents with Port-A-Cath or G-tube. 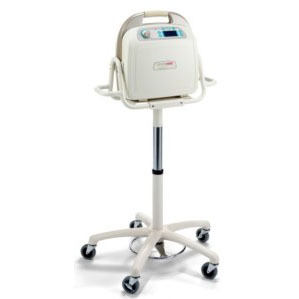 Ultra quiet generator to help residents rest during therapy. 360°coverage shears mucus away from the walls of the lung’s airways and reduces the viscosity of the secretions.